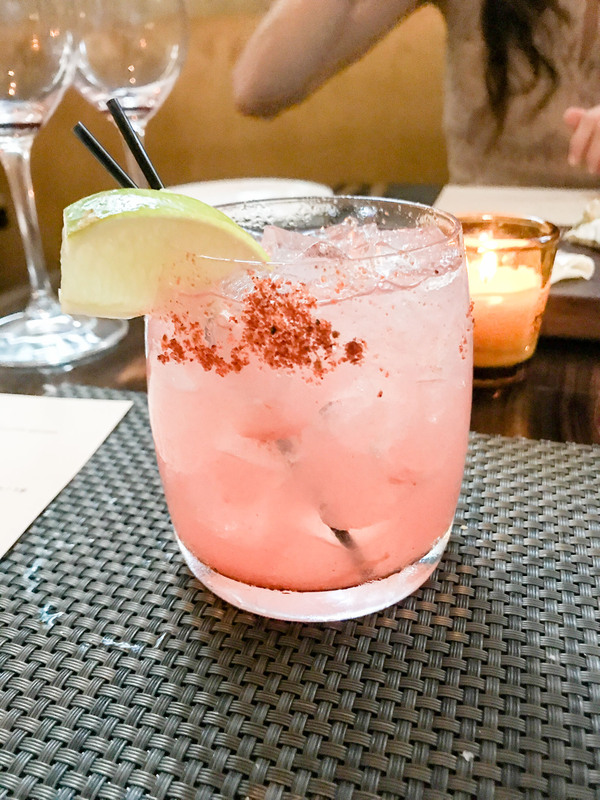 Charlotte Uptown Getaway | The Best Food and Fun in Charlotte! I couldn’t be more excited to get this series started! 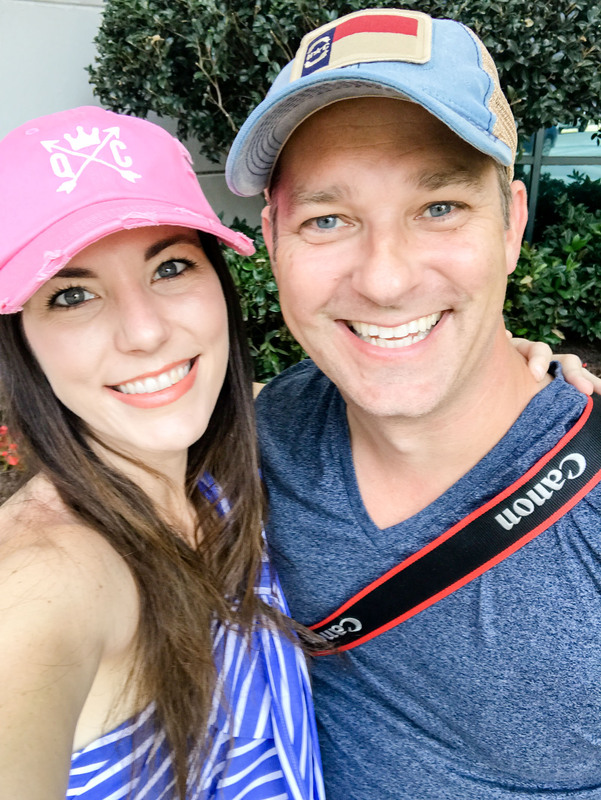 The hubs and I have been working hard to explore the best places to eat, drink, and see in Charlotte! 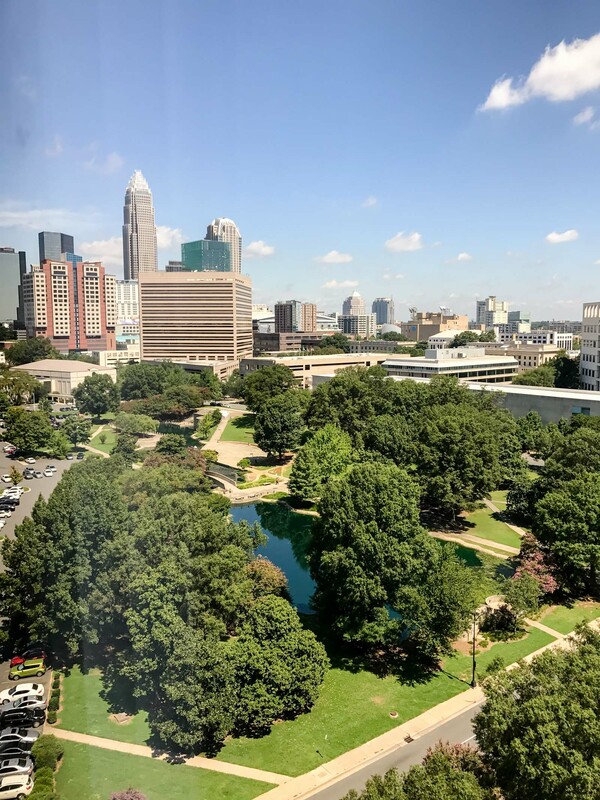 We spend so much time in Charlotte and truth be told, there are ENDLESS things to do, see, hear, and enjoy! 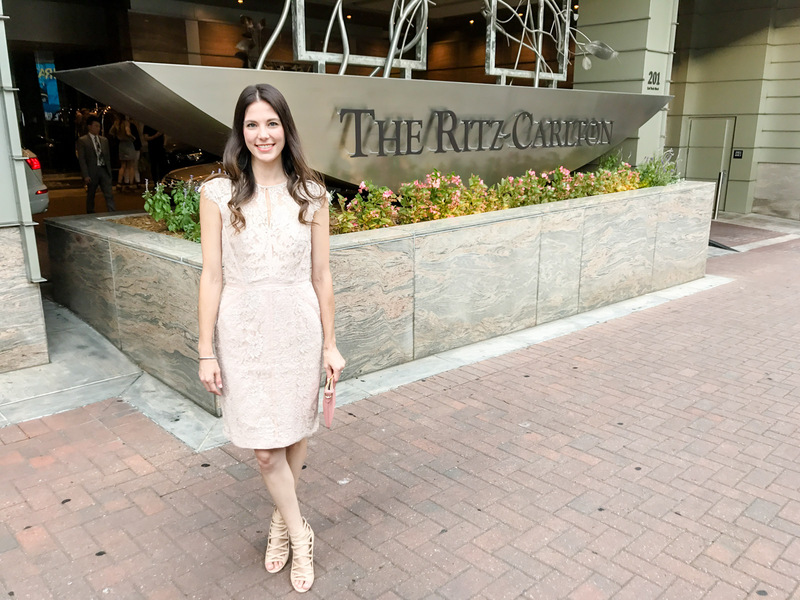 There was no way to fit it all into one post so without further ado, let’s kick off this series with something many of you have asked for… how to best enjoy a romantic getaway in one of my favorite cities, Charlotte, North Carolina! 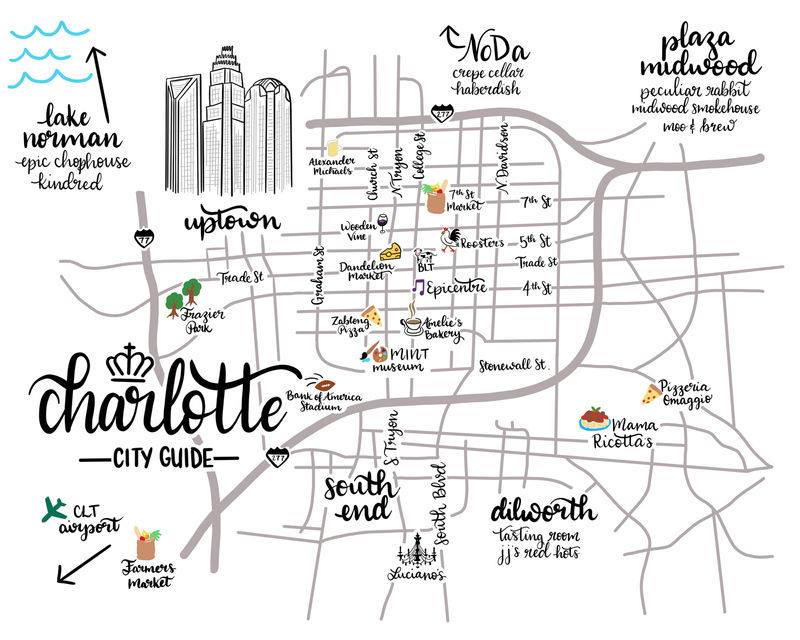 You’ll be seeing this gorgeous map of Charlotte through this travel series and I am absolutely in LOVE with it! 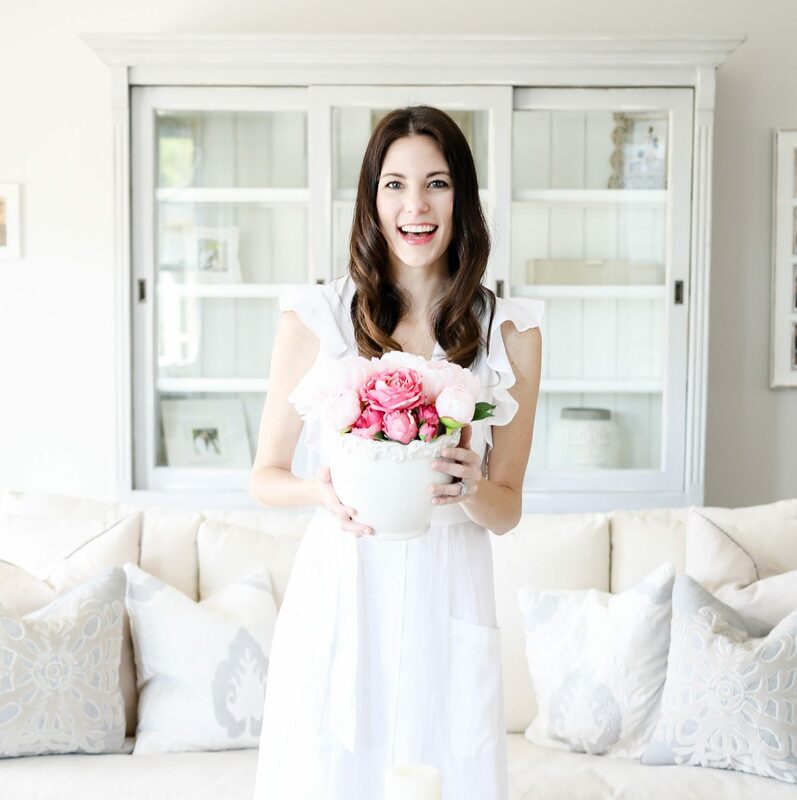 It was created by the best of the best, Amy Dazzo of Lettered Lovely. This will give you a good overlook of where uptown is and what surrounds it for further reference! Amy is my go to for so many things and I definitely recommend following her on Instagram and checking out her shop! We thoroughly enjoyed the Charlotte Ritz Carlton! A few other great hotels in the area include: The Le Meridien, The Dunhill, and The Ivey’s Hotel. | Afternoon | Check-in to your hotel and head to the Ritz if you aren’t staying there! Enjoy a cocktail or glass of wine at the K Lounge! I highly recommend one of their red wines. I tried the Melville Estate Vernas, one of their delicious Pinot Noirs. They also have a great red from Alexander Valley. For cocktails, you’ll absolutely love the Southern Peach or the Honey Paloma! If it’s early, the K Lounge also has small plates for a light snack. | Evening | Enjoy a walk uptown to dinner at Fahrenheit where you can see the most incredible views of the city! You’ll want a reservation that gets you there during some evening light and gets dark while you are there, that will give you the best views! We recommend eating inside and then taking a drink outside to sit by the fire and enjoy the city view. A couple other options for city views are City Lights Rooftop and The Peculiar Rabbit. | Daytime | My favorite thing to do in a city is to rent bikes and explore the city. Charlotte is a good size and perfect for an afternoon bike ride to see the different areas. The city has green areas everywhere to explore and beautiful parks to stroll through. Stop by the 7th Street Market for a quick bite to eat or get something to go to bring to a park! My favorite is Romare Bearden Park which is close to the Panthers Stadium. | Evening | We’ve tried A LOT of places in this area for dinner and let me promise you, BLT Steak is the best there is in Uptown! It came highly recommended to us and we are so glad we chose this for our Saturday night dinner! 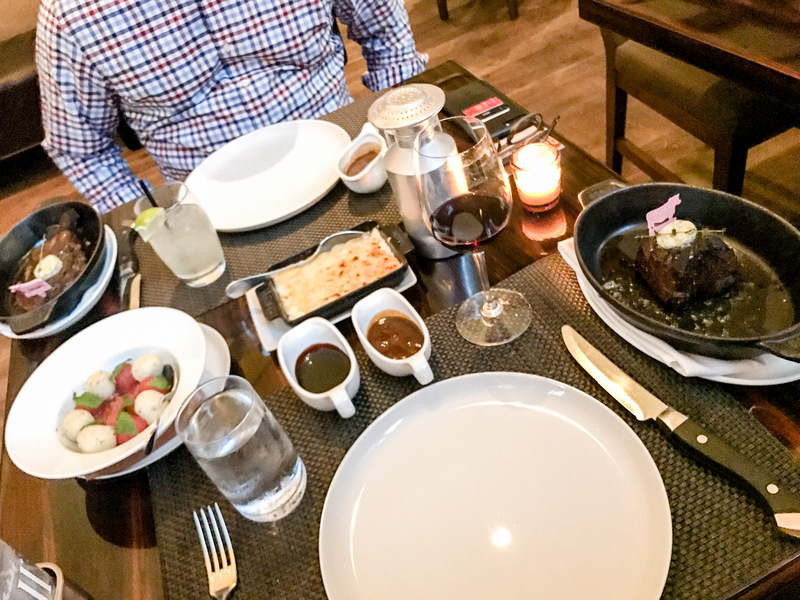 It was an incredible dining experience from start to finish! Whether you’re staying at the Ritz or elsewhere, you have to make sure BLT Steak makes your list for dinner! I hate to ruin the surprise but they bring you the best popovers you’ll ever have when you sit down. They come with the most delicious butter and sea salt to top them off. The food only gets better from there but the popovers are reason enough to go! 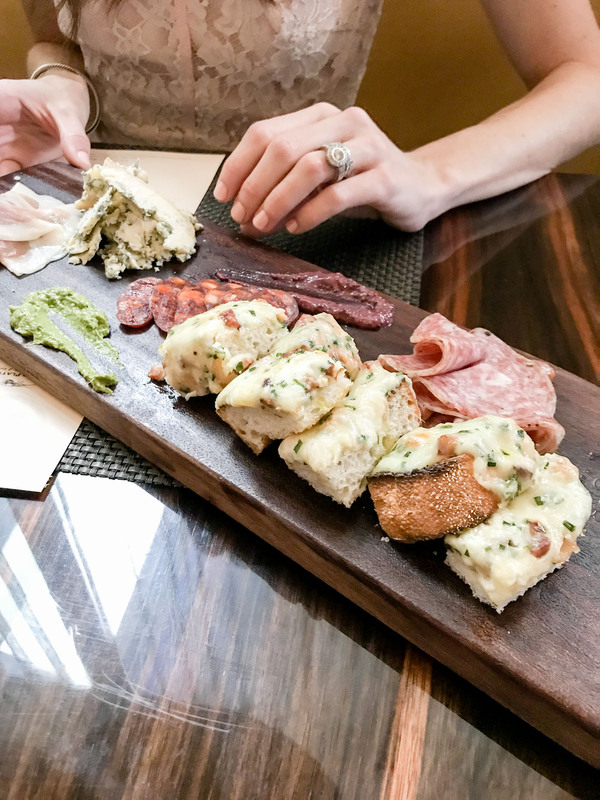 BLT Steak Dinner Selections: Crabcake Appetizer and a Charcuterie Board to share. Bone-In Rib Eye and Filet entree with Ricotta Gnudi and Potato Gratin sides. Make sure to pick from their house made sauces for your meat, they really are icing on the cake! Well… the steak. P.S. Don’t forget to save room for a little coffee and dessert after! I love a classic cheesecake but I’m married to Mr. Dessert and he liked the peanut butter chocolate mousse! | Brunch | Hopefully you got to sleep breakfast away (always a goal of mine) so let’s talk about my favorite activity, brunch! It’s going to be hard to top off BLT Steak so we made sure to find the most perfect brunch spot! Just a short walk from most of the hotels I recommended is Amelie’s French Bakery! There isn’t a better spot to enjoy a cup of coffee and a delicious brunch. Trust me and order a sausage, egg, and cheese on a croissant. You will be in heaven and almost ready to head back home and back to reality! We can’t wait to hear about your getaway and how much you loved all the food and fun! Keep checking back for more of this series on Charlotte, North Carolina! And if you missed it, you can see a little sneak of our Charleston Travel Guide here! BLT is so good! They have make the best wedge salad and Brussels sprouts. And yes – the popovers are to die for!